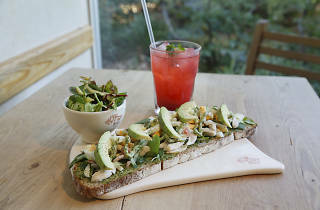 Communal tables, crusty, artisanal bread made with organic wheat: the format at Tokyo's first branch of Le Pain Quotidien will be familiar to anyone who's stumbled into one of the international chain's nearly 200 shops around the world. What distinguishes this one is the location: the café and bakery sits right next to Shiba Park, with tall windows to help you enjoy the surrounding greenery, as well as an open terrace facing the street. There's a wide range of baguettes, breads and pastries available for takeaway, though you may find yourself tempted to stay a while longer – in which case you can sample a sit-down menu of open sandwiches, salads and Mediterranean-inspired entrees. 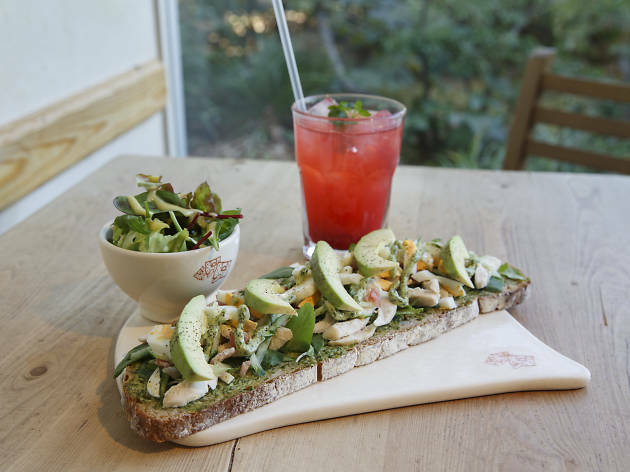 Opening from 7.30am each day, Le Pain Quotidien would also make a plum spot for a leisurely breakfast.